It is now – after Qatar’s failure – safe to say that over the last few months no other teams have made bigger progress than these two. Ange Postecoglou has been pretty successful in eradicating numerous flaws of his Socceroos side, while Alain Perrin has managed to build on the rise of the whole Chinese Super League (not just Guangzhou Evergrande, mind you!) rather splendidly. 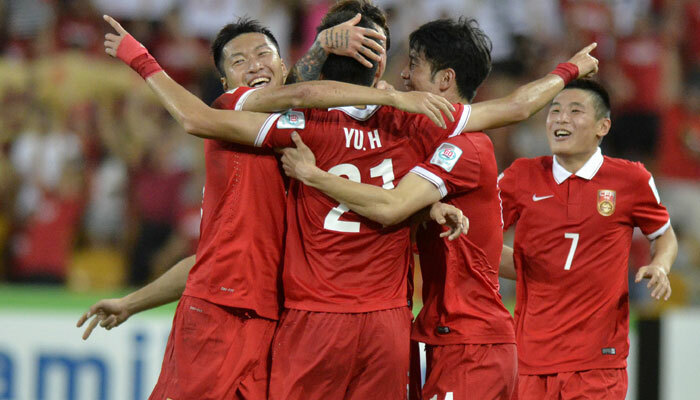 The Chinese build-up is now very swift in particular, and although the Dragons are still missing a proper finisher, they certainly don’t lack any necessary cutting edge or willingness to push forward in big numbers. And that’s exactly what could harm the Socceroos. For that matter, we all saw at the 2014 World Cup how Australia struggled to apply their high defensive line, or how they suffered from a lack of cohesion. And that once again might be on the cards, particularly with Špiranović suspended and capable, smart runners like Sun Ke & Gao Lin in the Chinese starting eleven. On the other hand, China themselves surely can be undone – quite easily actually. You see, Perrin likes to keep it tight and narrow in defence, forcing opponents to go wide and whip in some desperate crosses. But that may not work against Australia anymore, since we are all aware how well versed Ivan Franjić is in making overlapping runs. Considering that the right back will probably go head-to-head with another adventurous fullback Jiang Zhipeng, I’d say we are in for a hell of a ride down this touchline. Also, assuming Tim Cahill starts upfront, China are about to face an experienced striker, who’s pretty much famous for his heading ability; an attribute they haven’t had to deal with as yet. Therefore, those aforementioned desperate crosses could eventually turn out to be rather dangerous ones this time around. In general, I reckon you’d be best served to expect an open, exciting game. Both sides have so far been positive and in a good mood, so let’s hope for an absolute treat!